This picturesque village has a general shop/post office. 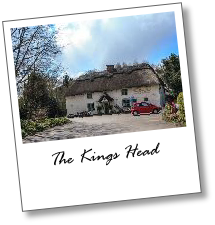 2 gift shops and 2 public houses (of which one, The Kings head, is one of the country's oldest pubs and retains its thatched roof). 2 tearooms are within a 1 mile drive - Sunnyside Up and Wold View House. Tealby church, built using local orange-iron stone is dedicated to All Saints and it dates back to the 12th century it holds memorials to the prominent local Tennyson d'Eyncourt family. Behind the village hall (2 minute walk away) is a playing field, cycle path and children's play area (reported by our younger visitors to be 'really cool and it has a brilliant zip wire')! Famous residents of Tealby include Bernie Taupin who lived on Beck Hill, the English lyricist, poet and singer best known for his collaboration with Elton John. Exploring Further Afield - A Wealth of Holiday Ideas! England's second largest county is an outstanding area of ever-changing landscapes and exciting scenery, shaped by a rich tapestry of fascinating heritage, passionate people and intriguing traditions. Lincolnshire has so much to offer the visitor - below we list a few of our favourite things to do. Lincolnshire has the most amazing aviation history and there are far too many site of interest to list here, but our favourites are The Battle of Britain Memorial Flight is stationed at RAF Coningsby (12 miles) where you can see the last flying Lancaster in Great Britain. The Lincolnshire Aviation Heritage Centre is a family run museum at East Kirkby (9 miles) and was set up over 20 years ago. It is now widely seen as a living memorial to the 55,500 men of Bomber Command who lost their lives during WW2. It holds one of the rarest aircraft, an Avro Lancaster Bomber, in its collection along with many wartime vehicles including a Ford WOT1 Crew Bus, the only one of its kind known in existence. "Just Jane" has taxi-ing displays both daytime and evening for the benefit of the public. A beautiful local cafe that serves fresh local ingredients and free range eggs. The Tearooms are arranged over two floors, and have seating for 30 downstairs in a Cath Kidston style room, which is filled with a lovely collection of hand-painted vintage furniture and a sideboard brimming with homemade cakes. Rand Farm Park is a genuine working farm for children of all ages to enjoy. You will find it in rural Lincolnshire on the main A158 Lincoln to Skegness road, about two miles on the Lincoln side of Wragby. There are a large variety of animals to hold, feed, touch and cuddle. Indoor heated play areas ensure the fun doesn't stop when the weather's bad.There's also a spacious tearoom and coffee bar, which can seat up to 200, so the everyone can treat themselves to a lovely cuppa and a bite to eat after a day's fun and activity. An interactive information centre will tell you lots of interesting stuff about the farm and the animals that live there. The large out door adventure playground will help our younger visitors let off steam and they can jump aboard one of the many tractor and trailer rides. Another of our favourite places for a family day out Hall Farm Park which is set in the grounds of a working farm in Lincolnshire. The Farm Park site has been purposely developed to cater for visitors of all ages and abilities. Situated in the pretty Lincolnshire village of South Kelsey between Market Rasen, Caistor and Brigg it is home to a wide selection of friendly animals, some traditional and some rare breeds along with domestic pets. All the animals can be touched and fed by visitors. At certain times of the day, some animals can even be held or handled more closely. we especially love taking the goats for a walk and playing on the slide with the huge rubber rings inside the barn - great fun for a rainy day! It was in 1974 that the first seal arrived at the Mablethorpe Seal Sanctuary and Animal Centre and since then hundreds have been rescued and returned to the wild. The wildlife hospital built in 1989 not only made it possible to look after more seals but also gave visitors a better insight into the rearing of seal pups. Donna Nook is a habitat for thriving grey seals and of great conservational importance, boasting one of the largest and most accessible breeding colonies for the endangered mammal in Britain. As the BBC put it: ‘an encounter with a seal at Donna Nook is almost guaranteed because this is effectively a seal maternity hospital.’ When autumn turns into winter, hundreds of grey seals start hauling themselves onto the sand banks on the Lincolnshire coast to give birth to their pups – around 900 a year. The are some great surfing opportunities at our local beach at Sandilands approximately 40 minutes from Tealby. It is easy to park, there are toilet facilities and food available at the golf Club. It is popular with local surfers, dog walkers, cyclists and families. Huts are available to hire at the local shop. As the most exciting motorcycle racing circuit in the country the narrow, twisting, hilly track of Cadwell Park presents a unique challenge for the Two-Wheelers- Anything but a quiet ride through the country! Watch British Superbike Championships Club Racing, both bikes and cars - or experience it yourself with our Yamaha Track and Race Bike School. Bring your own bike or borrow one of the RG's to take to the limit. The venue is a 30 minute drive. Elsham Hall is described by Clive Aslet as one of the most imaginative gardens in England! The walled garden is a magnificent 4-acre site which has been excitingly re-landscaped. There is a sensory garden, great drifts of bulbs and wild flowers, vistas, a one world garden, paddocks for the little brown sheep, a huge viewing mound, dramatic aviaries, a guinea pig village, sculpture and living willow features. There is much to delight children, keen gardeners and art lovers alike. Elsham is situated just two miles from the M180/A180 interchange at Barnetby Top (M180, Jct 5) and only three miles from the railway station in Barnetby. We are also just eight miles south of the Humber Bridge and 3 miles north west of Humberside International Airport. Throughout the county there are over 100 walks to enjoy - plenty to keep you occupied during your visit! Check out Walking Discovery Packs with an average of 6 - 8 walks per pack they offer a fantasic introduction to the unique and varied Lincolnshire landscape. We also use Lincolnshire Wolds Countryside Service. And, we love Hugh Marrows' new book A Boot up The Lincolnshire Wolds. Rushmoor Park offers a fantastic family day out with farm animals, falconry and a 5 star tearoom. We have some wonderful unspoilt and windswept beaches with quiet sandy expanses and we have the more traditional family resorts with donkey-rides and sandcastle building - something for everyone and only about 30 minutes drive away. There are many cycle routes that take you along pleasant, tranquil, un-spoilt country lanes. The Water Rail Way has officially been opened from Lincoln to Boston the route embraces a variety of scenery, from the City, to rolling farmland and ancient woodlands, to the wild beauty of the fens back to a City. Major rivers in the county include the Witham, which flows in its entirety through Lincolnshire, the Welland in the south and the Ancholme in the north; the Fossdyke canal runs into Lincoln and there are a variety of drains around Boston and the Fens. They all represent excellent coarse fishing. The upper Witham, Great & Long Eau, Bain and upper Welland all offer interesting angling opportunities for the trout and game angler. Humber Bridge has so much to offer with its fantastic views, engineering history, country park, site of special scientific interest, birdwatching - endless opportunities for a wonderful day out. We can thank the Romans for the Fossdyke Canal and the Brayford Pool at Lincoln and in medieval times Boston and Lincoln harnessed the River Witham for transport and saw their wealth grow. The 18th century fen drainage changed the map of Lincolnshire and the East Coast Floods of 1953 formed our attitudes to flood defence.The Lincolnshire Waterways Partnership is taking this baton forward into the 21st Century, working towards creating thriving river corridors that are a pleasure to visit. Walkers, cyclists, boaters, anglers and nature lovers have ample new waterside projects waiting for them to enjoy. Woodhall Spa is the National Golf Centre, and headquarters of the English Golf Union, its two famous championship golf courses are the Hotchkin and the Bracken. KenwickPark, Louth. Louth Golf Course. Market Rasen Golf Course all within a 15 mile radius of Tealby. Natureland Seal Sanctuary in the family seaside resort of Skegness is well known for rescuing and rehabilitating orphaned and injured seal pups that are stranded on Lincolnshire beaches. Our visitors can see the seals and lots of other wonderful animals including penguins, tropical birds/butterflies, pets corner, aquarium, tropical house, koi carp pool, animal brass rubbing, gift shop and refreshments available. Churches give a distinctive sense of place and provide reasons to visit rural communities. There are a number of church trails in Lincolnshire poacher country. Easton Walled Gardens, Doddington Hall, Goltho Gardens, Grimsthorpe Castle, Belton House, Normanby Hall Country Park to name just a few. Lincolnshire has some beautiful gardens ready to reveal their secrets to you. Louth (Church, antiques, Hubbards hills, Georgian architecture). Alford (windmill, Manor House Museum), Horncastle an old Roman town which won the Millers Guide award for the best Antiques Centre, Lincoln Cathedral and Lincoln Castle walk the cobbled streets of the old sector with its quaint shops, restaurants and bars, Tattershall Leisure Centre with outdoor water sports and Woodhall Spa. The Collection Art and Archaeology Museum in Lincoln. Visitors to historic Lincoln can now enjoy a fabulous new, free to enter, Museum, embracing the region's premier art gallery, the Usher. The buildings sit side by side in the centre of the city close to Steep Hill and enjoy spectacular views of Lincoln Cathedral. The Collection includes a wealth of artefacts from the Stone, Bronze and Iron Ages, Roman, Saxon, Viking and Medieval eras as well as fine, decorative and contemporary visual arts. Lincoln Cathedral is the spiritual centre of the City, the Mother Church of the Diocese, the parish church of the County, a place of national heritage and a centre of international pilgrimage. It provides a space for God, a focus for prayer and an opportunity for praise and worship.